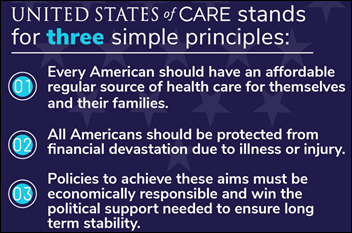 Former CMS Acting Administrator Andy Slavitt joins several luminaries to launch the non-profit United States of Care, a non-partisan group that will push for federal healthcare policies that it believes are nearly universally supported despite political differences. Among its members are health system executives, actors, Mark Cuban, Atul Gawande, former US CTO Todd Park, and former Republican Senate Majority Leader Bill Frist. Slavitt describes the group’s goals in a Health Affairs blog post. From Orbiter: “Re: HISsies awards. I got my ballot, but how are you presenting the results without an HIStalkapalooza?” I could do some kind of Web extravaganza via GoToWebinar with celebrity participants and live reaction from the winners (perhaps including a virtual pie in the face), with the cost underwritten by the “worst vendor” winner. Or, maybe I’ll just run the PowerPoint results sometime before, during, or after the HIMSS conference. Guess which? From Integumentary Film: “Re: HIMSS. What are you looking forward to most?” Two things: (a) not having to deal with HIStalkapalooza headaches, and (b) checking out vendors undercover in the exhibit hall. I have planned nothing for the entire week – no events, no meetings, no must-see educational sessions – so I’ll just be letting the HIMSS breeze (including the inevitable hot air) carry me. Does it seem that there’s less industry news to read today? It’s that time of year when vendors start creating their backlog of self-serving announcements, mistakenly thinking that they’ll get more exposure and booth traffic if they hold off announcements until Tuesday, March 6. HIMSS is just 25 days away and the smart companies are building the PR momentum now instead of after it’s too late to take advantage of it. Cerner announces Q4 results: revenue up 4 percent, adjusted EPS $0.58 vs. $0.61, missing Wall Street expectations for both. President Zane Burke describes the company’s FY2017 as, “We finished the year on a mostly positive note, with record bookings and all other key metrics except for earnings in line with our expectations,” which glosses over the significant point that the company’s all-important profit number disappointed everyone, including Cerner itself. Varian acquires radiation oncology QA software vendor Mobius Medical Systems for undisclosed terms. JPMorgan billionaire CEO Jamie Dimon had to soothe the ruffled feathers of the company’s healthcare clients after the announcement that his company — along with Amazon and Berkshire Hathaway – will work together to reduce the healthcare costs of their 1.2 million employees. The company’s healthcare bankers – who drive $682 million in annual revenue – reassured their customers that the partnership won’t really be as disruptive as people are wildly speculating, but instead will be more like a group purchasing organization that will help the companies negotiate better prices for services their employees consume. Insiders say that more-disruptive activities that were discussed, especially with Amazon’s involvement — such as offering health insurance, starting a pharmacy benefits management company, and distributing drugs – are now off the table. NantHealth CEO Patrick Soon-Shiong is rumored to be close to acquiring the Los Angeles Times and San Diego Union-Tribune for $500 million. Declining business and a series of missteps at the LA Times by owner Tronc – the former Tribune Publishing, in which Soon-Shiong is a major shareholder – have resulted in a two-thirds cut in reporting staff, heavy-handed management intervention into editorial issues to appease advertisers, and a vote by newsroom employees to join the union. 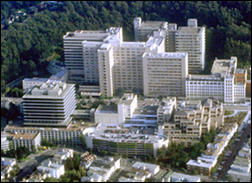 UCSF Health (CA) selects Voalte for enterprise communications across six hospitals. Pickens County Medical Center (AL) chooses Cerner Millennium, delivered via the CommunityWorks hosted model. Michigan Medicine offers virtual visits for minor illnesses such as adult flu, offering a same-day response to symptom questionnaires submitted by noon or within 24 hours if completed later in the day. The seven-day-per-week service costs $25 and is accessed through the health system’s Epic MyChart patient portal. LifeImage launches Clinical Connector, a vendor-neutral, standards-based platform by which clinicians and patients can access medical images and information from PACS and EHRs across sites. The project began as the LifeImage-powered RSNA Image Share pilot that winds down in March. DrFirst announces that its real-time prescription benefit checking service has been used 6 million times, saving patients an average of $11 for a 30-day prescription. This isn’t directly health IT related, but it’s important for healthcare journalism, of which I’m the fringest of players. CMS threatens to ban Modern Healthcare Washington bureau chief Virgil Dickson from its news conferences after he wrote a story blaming the resignation of a high-ranking Medicaid official on that official’s clashes with CMS Administrator Seema Verma. I Googled the name of the spokesperson who told Dickson’s editor that he would be banned unless he rewrote his story — Brett O’Donnell is working under a private contract with CMS after (or during) his career as a political communications consultant (nicknamed “Tea Party Whisperer”), during which he pleaded guilty in 2015 to lying to House ethics investigators. In England, Department of Health officials admit that every one of 200 NHS trusts have failed new, tougher cybersecurity requirements, many of them because of delays in system patching. Google’s DeepMind reports “promising signs” from its research project with NHS Moorfields Eye Hospital to analyze retinal scans with AI to detect eye disease. Its report has been submitted to a peer-reviewed medical journal. In Ireland, a review of last year’s incident in which the country’s national imaging system was found to ignore the “less than” symbol finds that no patients were harmed as a result. The Health and Safety Executive says Change Healthcare did not tell it about a software update that fixed the problem, so it didn’t apply that update. Lancaster County, PA’s Coalition to End Homelessness creates a social services data system that allows people to sign up for multiple programs with a single, universal electronic form that sends information to 40 participating organizations and then allows the groups to coordinate their efforts. The local health system CEO says she has HIPAA concerns with such a project and the hospital won’t participate because it doesn’t have the resources. The cloud-based system vendor is CaseWorthy, which says its system meets HIPAA requirements. It is apparently working on integrating its system with Epic. In Australia, a coroner finds that an inpatient’s death after routine knee surgery was due to a drug overdose that was caused by an anesthesiologist entering the wrong product in Macquarie University Hospital’s just-implemented InterSystems TrakCare system. The doctor admitted that he wasn’t trained on the system and didn’t follow up when he noticed his patient wearing a pain patch that he didn’t intentionally prescribe. Vince takes a look back 30 years, when magazine ads featured decisive hospital executives wearing three-piece suits and clinicians literally dancing with EHR delight, which might make you think the hospital IT wars had been fought and won to the musical backdrop provided by chart-toppers Tiffany and the manufactured Latin-influenced band Exposé. 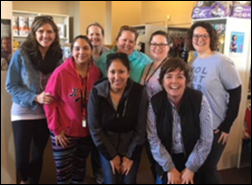 DocuTap employees restock The Teddy Bear Den, an incentive and education program for limited-income pregnant women and their children. CarePort Health will exhibit and present at the California Hospital Association’s Post-Acute Care Conference February 15-16 in Redondo Beach, CA. Healthx teams with Change Healthcare to provide cost transparency tools. CompuGroup Medical encourages support for health center funding via the Red Alert campaign. Cumberland Consulting Group will sponsor Model N Rainmaker 2018 February 12-14 in Carlsbad, CA. Dimensional Insight will host a regional user meeting February 8-9 in Amelia Island, FL. I was pretty bummed to hear about Jamie Dimon hitting the phones to play down the JPMorgan/Amazon/Berkshire deal. Either they’re lying to their health care clients and they actually do want to do something disruptive or they shouldn’t even bother because they won’t move the needle. If JPMorgan and Amazon can’t bargain based on volume already I don’t know what makes them think they’ll be more successful together. Group purchasing is probably more beneficial in the small/mid market. They want to attack health care costs yet they don’t seem to want to cut any of the cost. Berkshire, Amazon, & JP aren’t going to enlist the details of how exactly they’ll buy the mid-to-small market, in my personal opinion, they shouldn’t have broadcast the talks to the public. They can learn from some of the successful startups to unveil the business deal at the last minute, rather than now at this minute. I actually applaud your decision not to host the party at HIMSS. No reason to keep doing something you got marginal enjoyment from. I was skeptical of the claim “capability to share data with the community-based EHR” but figured HIMSS would be somewhat trustworthy validation. Hopefully, Secretary Shulkin is paying more attention than the analysts on the call. Funny also, in the very next paragraph, Zane says, “it’s good to have the requirements clearly defined.” That’s the most true thing he’s said in a year. Oh sure, these for profit gurus are gonna make tons of money cutting healthcare costs. They’re gonna make tons of money but not cut costs in order to serve their constituents.